If you just tuned into AWOP Radio, you heard my recipes for these drinks. Here's what they look like! Let us know how they taste and feel free to post your photos of the drinks you make on our facebook page. and mix until frothy. 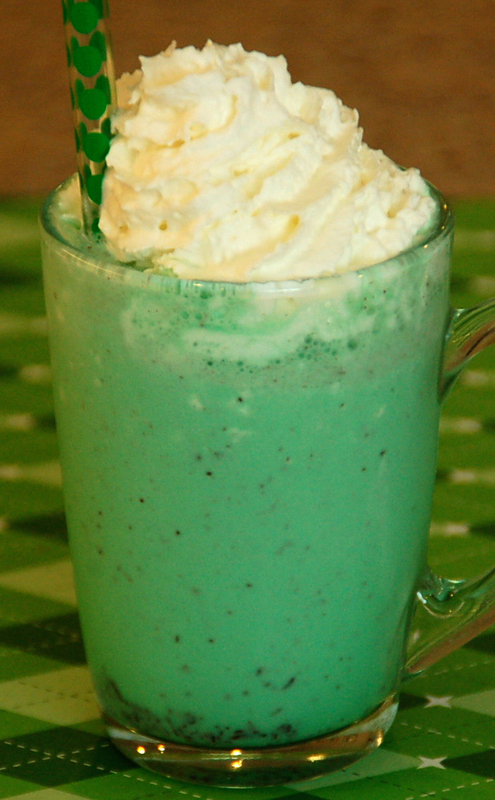 Pour into a glass and top with whipped cream. For thicker texture (but a weaker cocktail!) add ice to blender. Directions: For simple syrup, combine 1 table spoon water, 1 table spoon powdered sugar, and 1 tablespoon chopped mint leaves. Muddle until well blended. Pour the whiskey over ice and add the simple syrup. 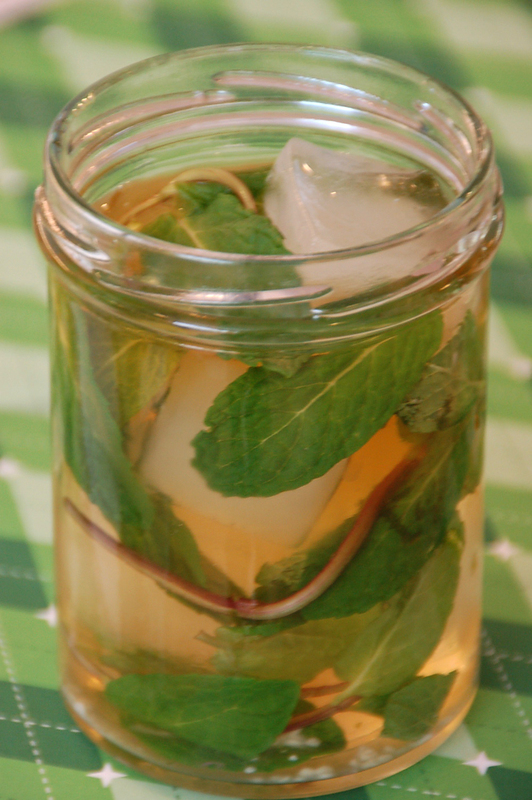 Stir well and garnish with mint leaves.